$55.00 In stock. Order in the next 11 hours, 20 minutes and it will go out today! Upgrade your Miser's Dream for your next kid show by bringing cookies! With Countless Cookies, you'll find more and more cookies, in ears, noses and in mid-air. More and more cookies will drop into the bucket, stoking excitement with the kids. 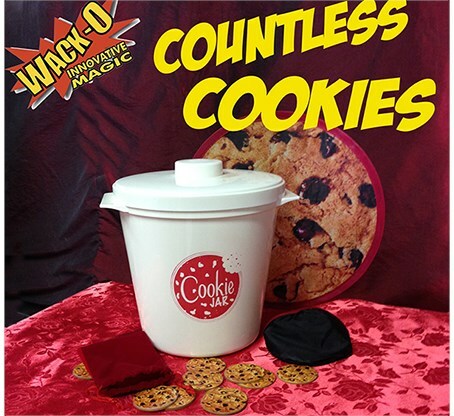 Then as a finale, produce a 10-inch cookie from thin air! Enjoy the fun and excitement and the screams. Get yours today! 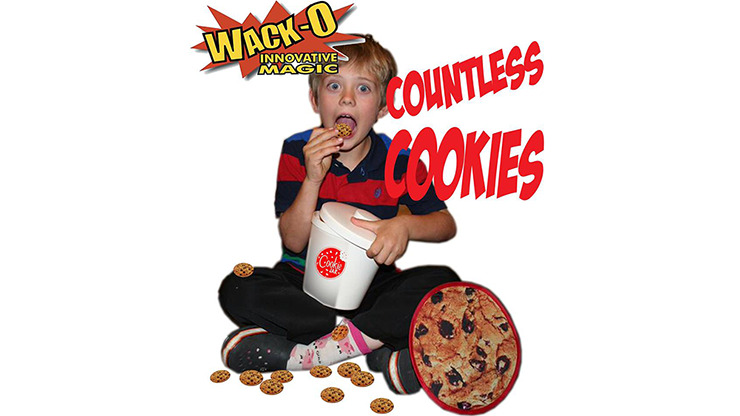 You receive a DVD, one dozen, dollar-size, picture-perfect "cookies" in a travel pouch, a durable cookie jar and lid, and the spring jumbo finale cookie in a load bag.